What happened to the landscape gardening firm of Hoyt and Rice? 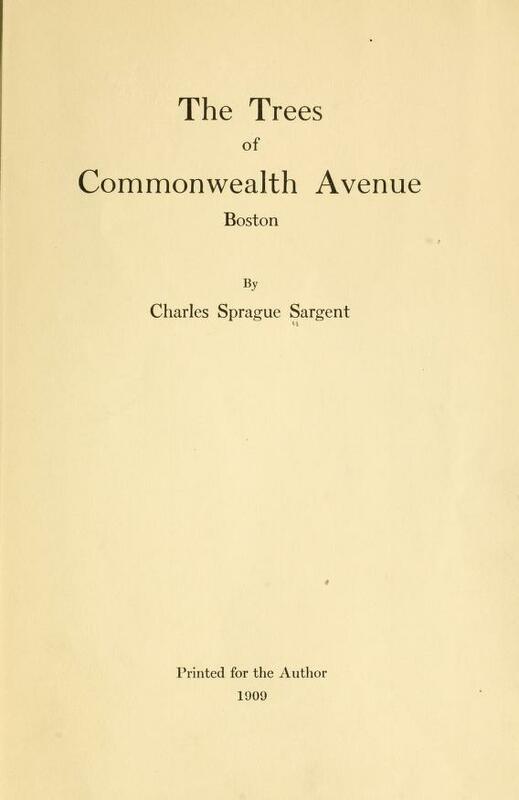 Why didn’t the two mentees of Beatrix (Jones) Farrand, Charles Sprague Sargent and the staff at the Arnold Arboretum ever start their planned business together? While a footnote in the story of the landscape of the British Embassy, Washington, one wonders if the partnership had endured, how different both the history of women landscape architects in America and the gardens of the Ambassador’s Residence would be. The two boon companions–one of whom would go on to create the gardens at the British Embassy–with different skills and personalities and an impressive list of social contacts, would have made a formidable team, unusual for the time, in the early 20th century. 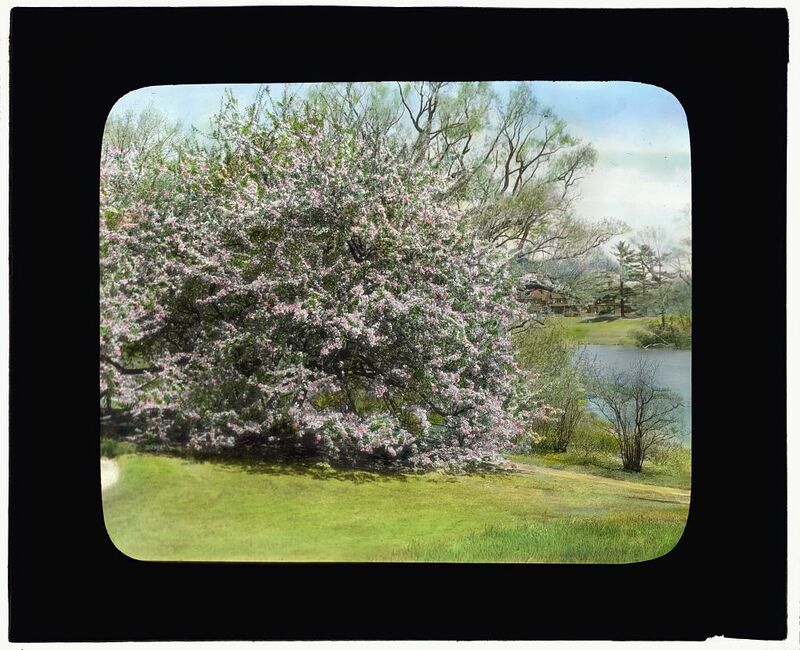 Granted a rare privilege in 1909, Elizabeth Hoyt and Gladys Rice studied together for a season at the Arnold Arboretum, outside of Boston in Jamaica Plain. 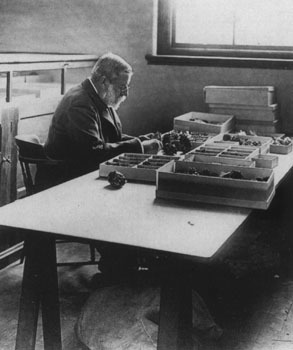 With letters of introduction from its founding director, Sargent, the pair then went off to study at the Kew Botanical Gardens and to tour European gardens, chaperoned by Hoyt’s aunt Elizabeth Cameron. 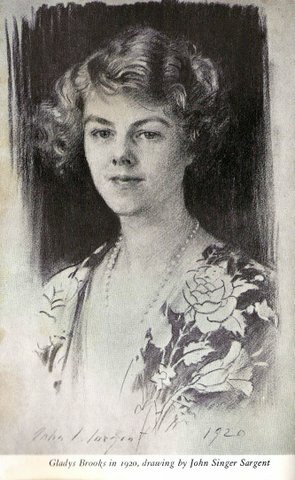 While Hoyt returned to the Arboretum for another stint, Rice became engaged after a one-month courtship and married 10 December 1910, against the warnings of Henry Adams, whom she had become close to in the Parisian home of Cameron. As wife of a Saltonstall, she entered into not only the highest of Brahman Society (Boston’s traditional upper class) but the haute bohemian world of Isabella Stewart Gardner, the center of cultural life in that city, who took the outsider under her wing. 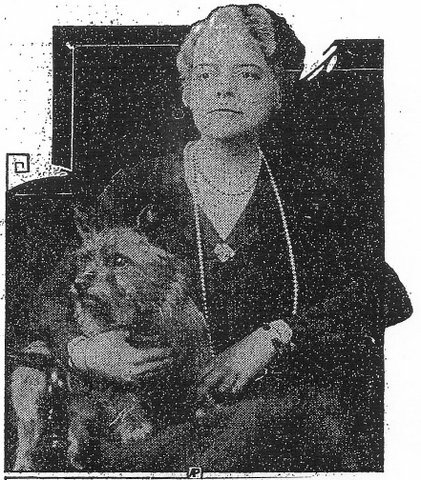 As alluded to in her bittersweet memoir, Boston and return, Rice ended up divorced fifteen years later, without custody of her adored children and living alone in a small New York apartment, trying to regain her footing in life. It seems like a heartbreaking story for the creative, intelligent woman but Gladys Rice had a remarkable, full life with quite the roster of lovers, husbands and adventures. Through changing surnames, she pops up over the years in a number of accounts and records, appearing in Henry Adams’s correspondence, New York Times and Washington Post profiles, the writings of legendary New Yorker editor and gardener Katharine S. White, and, both hilariously and touchingly, in the autobiography of Washington Post Executive Editor, Benjamin Bradlee. She penned three memoirs during her long life. As with Elizabeth Sherman Hoyt, later Lady Lindsay, who had largely faded from accounts or had been mistakenly conflated with both her cousin Martha Lindsay or aunt Elizabeth Cameron in biographies of Henry Adams and his circle, and her professional gardening past almost completely forgotten, another portrait of Rice is due. Little has been written about him. I have been able to turn up only a brief memorial article by one of his colleagues, Charles Rehder, in the Journal of the Arnold Arboretum (Volume VIII, 1927), and a chapter titled “Garden Adventure” in Gladys Brooks’s poignant and well-written book of memoirs, Boston and Return, which is the only personal account of him I have come across. Mrs. Brooks, at the age of nineteen, when she was Gladys Rice, went to the Arboretum with a friend of the same age to study in preparation for what they hoped would become a career in landscape architecture, and they were lucky enough, in the later years of the Professor’s life to be taken on as unorthodox students and apprentices. Gladys Rice thus came to know the austere Professor in a very special way. After putting them through a grueling test and a course of education with one of the Arboretum’s gardeners, he accepted the two young ladies as friends and protégées, always referring to them as “the little girls.” The sketch is charming, witty, and revealing—the only real portrait, for all its brevity, of this great man. After visiting gardens all over New England and New York with Sargent and his son, landscape architect Andrew Robeson Sargent, including the Vanderbilt Mansion at Hyde Park and a stay at the Hoyt family estate on Centre Island (on Long Island), the two “girls” were sent on to Kew and their grand tour of gardens. Hoyt’s aunt Cameron, essentially living in exile from her unhappy Washington marriage, had homes in both England and France. Rice, the daughter of a New York City throat doctor, while not unsophisticated, was overwhelmed by this new world opened to her. By her own account, Rice was so taken in she almost immediately married a man, John L. Saltonstall, of similar wealth, position and ease in society, upon her return. This trip may have influenced me more than I knew, for it threw me momentarily into a world of social importance, of affluence and power taken for granted, a world that flashed its brilliance in compelling fashion even while it repelled and alarmed me by the austerity of its rules and customs. When the rearing of children, the hours of violin practice, the duties of wife and the cares of the house made active gardening a thing of the past, I nonetheless held to an undeviating interest in plants as well as to a continued friendship with Professor Sargent. 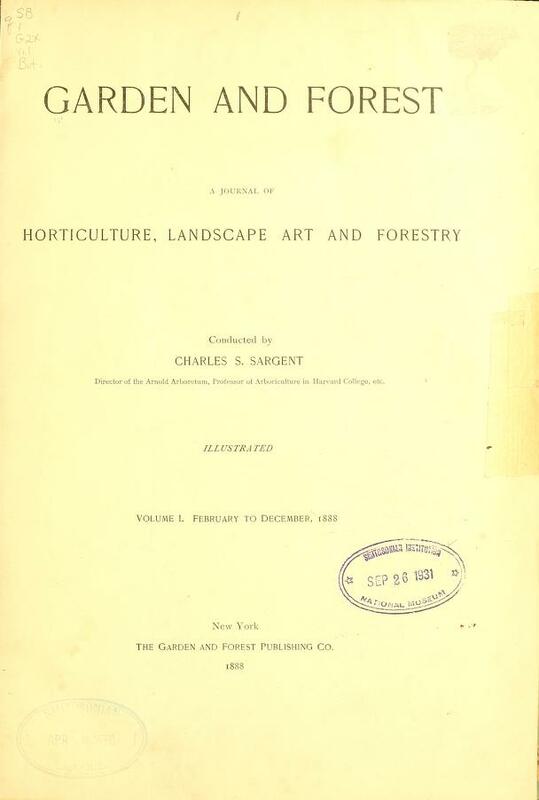 During these later years under the professor’s guidance I stocked the shelves of our library with books such as Downing’s Landscape Gardening, with its fine wood and steel engravings, Sargent’s Manual of the Trees of North America and, notably, the ten huge bound volumes that comprise the long defunct magazine Garden and Forest which Sargent edited during the nine years of its existence. While Sargent advised the landscaping of the rural agrarian estate (which Gladys Saltonstall oversaw), the design was left to the landscape architect with the wonderful name of Harold Hill Blossom (1879-1935). Blossom had worked for the firm of the Olmsted Brothers for twelve years. Frederick Law Olmsted collaborated with Sargent on the laying out of the Arnold Arboretum as well as many other projects. 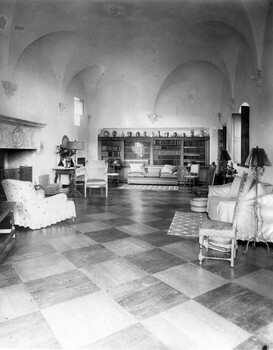 At Topsfield, as at Dumbarton Oaks in Washington, there is a Georgian Revival mansion (designed by Philip Richardson, son of Henry Adams’s friend Henry Hobson Richardson), a formal approach to and terrace arrangement immediately around the main house, with a cluster of smaller buildings, ancient cottages, and surroundings that blended into the pastoral setting sloping down (here, to the river; at Dumbarton Oaks, a ravine to Rock Creek). The property soon appeared in architectural and gardening periodicals, including the Architectural Record and House Beautiful. To complete my bouleversement, the other day Gladys Saltonstall telephoned that she was rushing down the coast with a live duke and should bring him in to see us—and sure enough a very-good-looking young Frenchman in khaki was whirled into our drawing room by Gladys, playing pretend that he was a duc de Guiche committed to our care by Bobby Bliss [Robert Woods Bliss, the diplomat and, later, of Dumbarton Oaks]. 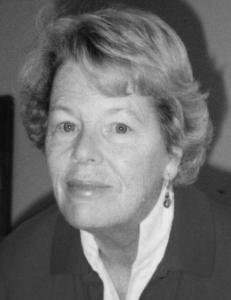 As her friend Gladys lived in her former life in an aristocratic world of social engagements, concerts, and huge, elaborate households, while Elizabeth Hoyt finished her tutorials and worked professionally for four years with the New York City firm of Beatrix Jones (later Farrand) before setting out on her own. But she gave up her landscape gardening business with the advent of the Great War and assumed an executive position with the Red Cross headquarters in Washington. Hoyt lived nearby with Henry Adams, whom she had known since she was five years old. 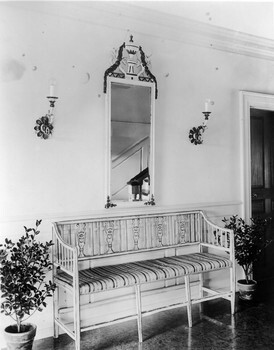 Adams said of the arrangement: “I’m proud to have a war worker in the house.” It wasn’t until 1930 that Hoyt, as Lady Lindsay, finding herself once again in Washington, had the opportunity to create a grand garden. Also ending up in the nation’s capital during the war were John and Gladys Saltonstall. He, according to his future son-in-law, had “no job, ever.“ While his life was mostly devoted to tending to his money, Saltonstall did have a Navy appointment to the staff of Admiral Sims and served two terms in the Massachusetts state legislature. Despite world events, Gladys Saltonstall was thrilled with her life in Washington and, its excitement and glamor, entertaining many flirtations in the diplomatic corps (her husband was often in England). 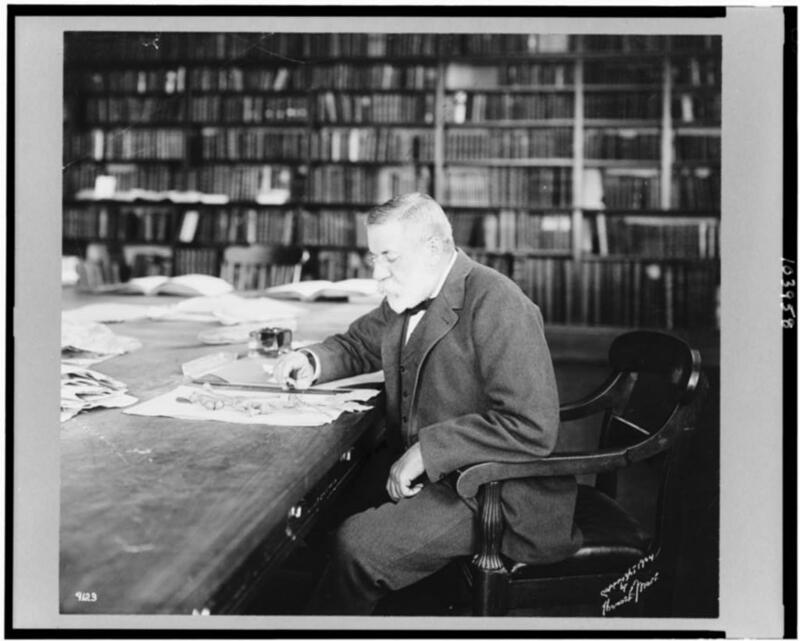 They lived in a home at Fourteenth and R Streets that belonged to the well-known eye doctor (and rare book collector), William Holland Wilmer. At her last visit to Adams’s home, just before he died, the writer and historian warned her, “It occurs to me that you may not be able to distinguish between an English gentleman and an English bounder.” Following Adams’s funeral, Hoyt went to stay with the Saltonstalls, so her close friendship with Gladys had endured, at least for a time. If Jean’s father epitomized the conventional Boston aristocrat, who clipped coupons and shot ducks, her mother, Gladys Rice Saltonstall (later Mrs. Henry Billings and finally Mrs. Van Wyck Brooks), personified an unconventional New York middle class which lived in a world of culture. She was the daughter of a doctor who treated the throats of New York’s top opera and concert singers, and artists. She walked into a kind of prison when she walked into John L. Saltonstall’s life in Brookline and Topsfield, Massachusetts, both bastions of the stuffy respectability that stifled Proper Bostonians. Her last marriage was to writer and literary historian Van Wyck Brooks who died in 1963. The Times quotes Brooks, then in her 80s, about transforming the silo into a three-story cottage. She gave it to her son, John Saltonstall Jr., when her husband developed health problems and they could not stay at the remote location. Trying to get away from the demands of the social life in New York City, the Brooks settled in Bridgewater, Connecticut. There they entertained guests such as Carl Sandburg, Alexander Calder, Norman Mailer, and William Styron. In the large garden there, Gladys Brooks, the former student of the Arnold Arboretum, could identify both the common and Latin names of every plant. There is a letter in the Royal Botanic Gardens, Kew written by C.S. Sargent to Sir David Prain on 12 April 1910 that is described in the Archives as he has given his card to two you friends of his, Miss Hoyt and Miss Rice. They are travelling to England to study the collections at Kew and Sargent hopes that Mrs Prain will ask them in for tea. He suggests that Prain may also find a way to facilitate their studies. (id KUSDC3423). Bradlee, Ben. A Good life: newspapering and other adventures. New York: Simon & Schuster, 1995. Brooks, Gladys. Gramercy Park: memories of a New York girlhood. New York: E.P. Dutton & Company, 1958. “Gladys Rice Brooks,” obituary in the New York Times, 2 February 1984. “A Modern country house after the southern colonial style, residence of John Saltonstall, Esq. 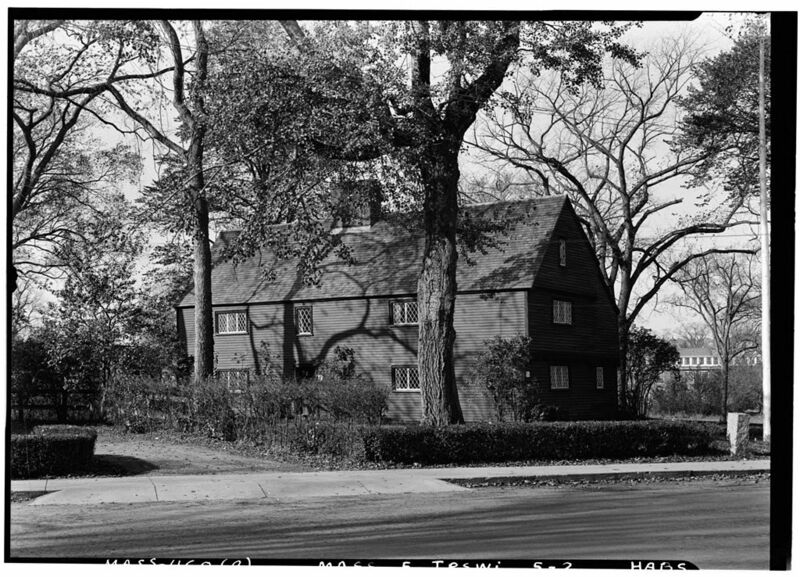 Topsfield, Massachusetts, Richardson, Architects.” The House Beautiful, vol. 57, no. 6, June 1925. Pauley, Gay, “Don’t ever tell your age to a man: Dover residents,” The Washington Post, 8 April 1967, p. C2. Sutton, S.B. 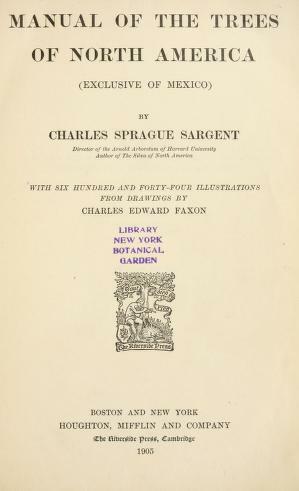 Charles Sprague Sargent and the Arnold Arboretum. Cambridge, Massachusetts: Harvard University Press, 1970, p. 315. Taylor, Angela. “She lived in mansions, but her favorite house was a silo,” The New York Times, 17 July 1968, p. 38. United States Department of the Interior, National Park Service. National Register of Historic Places registration form, “Topsfield: River Road-Cross Street Historic District”. April 2005. Of the former Saltonstall estate this report states: “A small part of the landscape was featured in a 1926 House Beautiful Gardening Manual with an introductory chapter on garden design by Fletcher Steele. In a chapter on ‘Maintenance and Equipment’ the Saltonstall terraced garden is shown with apple and pear trees espaliered to the garden wall. White, Katharine S. Onward and upward in the garden. Boston: Beacon Press, ©1979, , p. 224-5.